KeyShot 6 brings even more speed and simplicity to creating high-quality visuals. Experience a completely optimized workflow with faster lighting capabilities and expanded material features with the new KeyShot Material Graph. When you tie up your workstation's CPU cycles with rendering, design productivity plummets. The ultimate workflow option for working with KeyShot is to offload computationally intensive rendering tasks. A great KeyShot rendering hardware combination is an overclocked APEXX 2 workstation coupled with the BOXX renderPRO, the only desk side personal rendering solution. 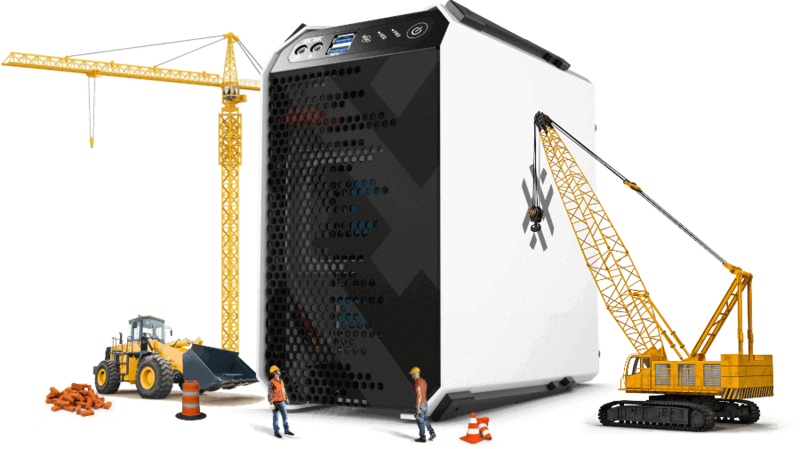 However, your organization may require even greater horsepower, in which case, our renderBOXX solution delivers 20 CPUs in a single, 4U rack mount enclosure.